As a result of the 4Q 2018 pull back, small cap valuations are more compelling relative to their long-term historical averages and large cap. M&A activity targeting small cap is picking up as valuations have fallen and corporate cash holdings are at a record high. Small cap’s more US-focused revenues are better insulated from the current US-Chinese trade war and the economic slowdown in Asia and Europe. This is causing analysts to cut earnings estimates for large cap. 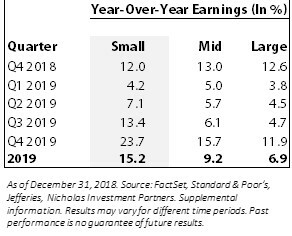 Small cap consensus earnings are now more compelling on an absolute and relative basis to large cap. 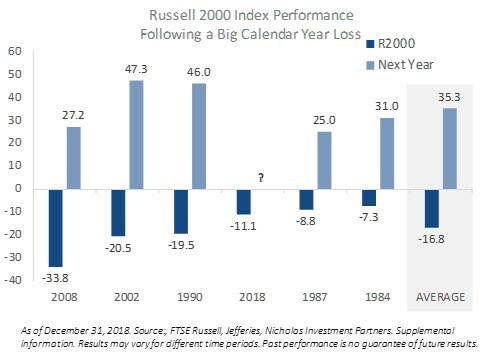 2019 has gotten off to a good start with the Russell 2000 Index up 7.20% vs. 4.40% for the Russell 1000 Index through the first half of January. 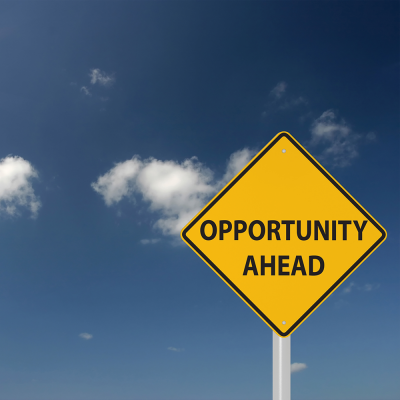 * We positioned Nicholas Partners US Small Cap portfolio to capture the opportunity created by the 4Q 2018 pull back. For example, we bought back a number of stocks at 20–30% discounts from where we had sold them earlier in 2018, when they reached our previous price targets. We believe that the better relative valuations and earnings for small cap stocks creates more opportunity, especially as growth becomes more scarce so it commands more of a premium. *Index performance from January 1 through January 15, 2019.